There is certainly no need to be daunted by a financial barrier to entry when starting your own web design company. Don’t be put off by the price of Photoshop or the whole Creative Suite – there’s loads of free software for web designers that can help you keep costs down. Photoshop is the application that is potentially the biggest financial outlay for a web designer. But there are a few online image editors out there. Pixlr is one of the best. FotoFlexer is also worth a try. There are free open sources versions of Creative Suite applications. GIMP has been around for a long time and boasts plugins, brushes and tools to extend the basic functionality of the software. Pixelmator is not free but is cheap compared to Photoshop. Inkscape, which is popular with the Linux community, is a free alternative to Adobe Illustrator. This free vector graphics manipulator produces SVG files without unnecessary code to a reduced file size. Aside from an image editor, a web designer will always be in need of a good code editor. There are cheap alternatives to Dreamweaver such as Textmate and Coda. Obviously there are the free text editors available with the operating systems such as Notepad which comes with Windows and TextEdit which comes with OS-X. I’ve been really impressed with Text Wrangler which has a multi-file search & replace feature that is really handy. For me, it’s Filezilla all the way. Easy to use and quick. It used to not be available for Mac so in the old days I used Cyberduck. I miss that yellow duck icon! If you don’t want to download an app there’s net2ftp which gives you an FTP client in your browser. There,s even a skin designed for the iPhone. If you want to deliver large files to a client there are a host of free services, I use YouSendIt. And to store files on the cloud to access from multiple devices you can use DropBox. For downloading torrents there’s µTorrent for Mac and BitTorrent. There are lots of places to get great free stock photography, stock.xchage and Flickr Creative Comms search are two of my favorites. There are lots of great free vector resources but, instead of searching through these resources, I find a Google image search for “free vector” does the trick. Likewise, it’s not always necessary to get a free vector logo from Brands of the World but just Google the logo you want with “vector” in the search query. You can pick up free fonts at DaFont and a host of other places. WhatTheFont can identify a font from an image. Google Fonts now has a catalog of around 300 excellent fonts that will work across most browsers with just a line of code in the head and a CSS declaration. Compare and contrast the fonts with TypeTester. If you like to use grids in your web design (or even if you don’t) then check out 960 Grid System where you can download grid templates in HTML & CSS, Photoshop, Illustrator, GIMP, etc. All these grids are for websites that are 960 pixels wide. Developer Tools for Chrome and Internet Explorer – these do about the same as Firebug and are bundled with their respective browsers. Handy for working out IE hacks. Web Developer add-on for Firefox and Chrome – ultra handy add-on that can disable styles, disable browser default styles (handy for cross-browser compatibility), show alt text for images, resize window, validate, etc. The list is endless. The above mentioned HTML and, to a lesser extent, CSS Validators that can be reached with one click using the Web Developer add-on are services that most web designers will use all the time. Other online services of huge importance to the web designer are Google Analytics, Google Webmaster Tools and Google Docs. You can check websites across different browsers at BrowserShots and Adobe BrowserLab. ViewLikeUs allows you to check out how your website looks in the most popular resolution formats. In order to analyse your page speed, use Google’s PageSpeed (try to get your score up to 100) and Yahoo!’s Y!slow. Use Pingdom‘s free service to be instantly informed of any downtime on your site so you can contact your host and sort it out asap! I’m not sure if this really comes under the heading of “web designing” but with 2,000 subscribers for free, MailChimp is an awesome free email sending service. Color Scheme Designer can help you choose complimentary colors for your website designs. Freshbooks tracks your time and invoices your clients automatically, saving you time and getting you paid quicker. Mint tracks all your business finances and transactions and has a free mobile app. Square will accept credit card payment off you mobile phone. The best things in life are free – but then again you tend to forget how amazing they are because you don’t have to pay for them! The best ones are, obviously, WordPress, Drupal and Joomla but there are loads of incredible free Content Management Systems that power most of the web. Also going under the title of “Been around so long I almost forgot about them” are the free video storage services YouTube and Vimeo, etc. If it wasn’t for these services we’d spend ages uploading our video to servers or paying services like Amazon S3 to host them for us. Is there any free software you use that I have missed out? Please give me your suggestions in the comments section below. And, if you enjoyed this article, please vote for it by Tweeting, Facebook Liking or Google +1’ing it! I am glad you like them Rob! Thanks for those links, Martin. I like ColorCombos! I must be a cheapskate, because i use so many of these. Gimp, Inskscape, utorrent (it works on pc too), pingdom, dropbox, all the google tools, Pagespeed, filezilla… the list goes on. I love them all. 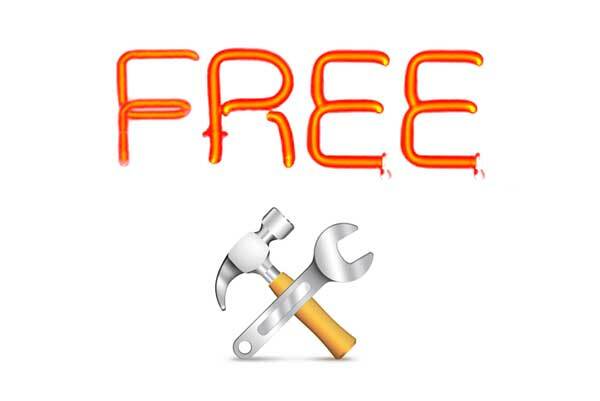 This is an absolutely wonderful list of all the best free stuff out there. Definitely a great resource for people getting started!! Steve, I’m a big fan of cheapskatism. It’s not a bad thing when you’re just starting out to try to do as many things as you can for free. But, as you know, you have to buy tools as well! Great to see you here again! I’ve been following you or a while, via LinkedIn. I’ve always found your articles to be readable and informative. Good work! I pretty regularly check out options for free web hosting and as far as I’m concerned there is only one: x10hosting.com. It’s PHP and mySql only but is highly technically competent. I also have an ASP / Access host but I’m afraid I can’t particularly recommend it. I’ve also found VMWare very useful for cross-platform development and Open Office is definitely worth a look. Re: the GIMP, I found it’s learning curve far too steep. I haven’t checked out any new versions for a while though. 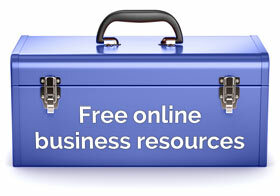 I utilise free resources a lot so I may come back to you further on this. Hello Hendrik. I’m delighted you’ve found some of the articles here useful. You’ve made a lot of good suggestions. I’ve used OpenOffice a great deal in the past and it’s excellent. For editing web files I’ve found Komodo Edit to be a fine tool. It’s open source too. For creating CSS files from scratch I often use Simple CSS, though for editing CSS I find it’s quicker and easier to just use Komodo Edit for that too. Hello Paul, I’ve downloaded Komodo and it looks amazing. I should have mentioned it. Thanks for your recommendations. For fonts, check out http://www.fontsquirrel.com – you can download very handy @font-face kits. Also check out http://www.codestyle.org/css/font-family/index.shtml to see the most common fonts on each platorm. I will definitely check out these others on your list. Hello Steve, thanks for your suggestions. I’ve used FontSquirrel before. The font survey looks useful. A similar but rather bland (IMO) article from The Employable. I’m now a regular visitor to your site, it’s great! I’m looking for some screen capture software to make a couple of videos. Capture Fox sounded good but won’t work with my version of firefox. Any ideas? Thanks for all the links! Going to check some of these out! I love Notepad++ for writing code. Screenr is great for capturing short video clips to send clients (or to have clients send to you showing whatever problem they’re having). Not the best quality ever, but gets the job done. And of course, Google webfonts for easy font embedding. Thanks, Erin, three worthy additions!